The President of the United States flies on Air Force One. The stuff you bought off Amazon could be flying on a One too, but obviously, your package will not be hitching a ride on the President’s official airplane. 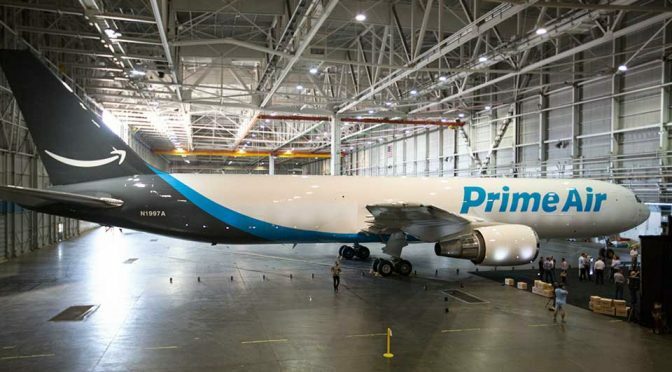 Instead, it could be onboard Amazon One, the online retail giant’s first ever air cargo plane. 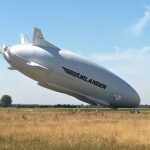 While hooking up with air cargo provider to deliver goods is not new to Amazon’s operations, Amazon One marks the outfit’s first ever branded air cargo plane and it is one of the 40 the company has agreed to lease through air cargo partners Atlas Air and ATSG. 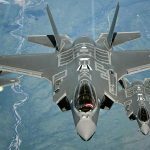 As of now, there are eleven such aircraft with more joining the rank over time. 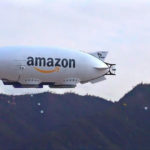 With Amazon Prime Air, Amazon has officially created its very own air transportation network which the company is betting on to ensure “great delivery speeds for their Prime members.” The Amazon-branded Boeing 767-300 was revealed in an inaugural flight in Seattle at the Annual Seafair Air Show, operated by Atlas Air. 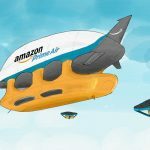 Having its own air cargo network is surely a lot easier than trying to get autonomous drones approved for door-to-door delivery, but that doesn’t mean Amazon is not working on drones; it still is, but if you know Amazon, they never seem to stop extending their reach with efficiency always at the back of its mind. Just last year, the company introduces Amazon Flex, a Uber-like delivery system which allows individuals to deliver for Amazon. That, along with an increase in trucking capacity through a dedicated network of 4,000 trailers and other technological innovations, all aims to up the company’s delivery speeds for customers.